Nepal probes 'Buddha boy' over devotee disappearances - Integration Through Media ....! KATHMANDU: A Nepali spiritual leader believed by his followers to be a reincarnation of Buddha is under investigation over the disappearance of several devotees, police in Kathmandu said Monday (Jan 7). 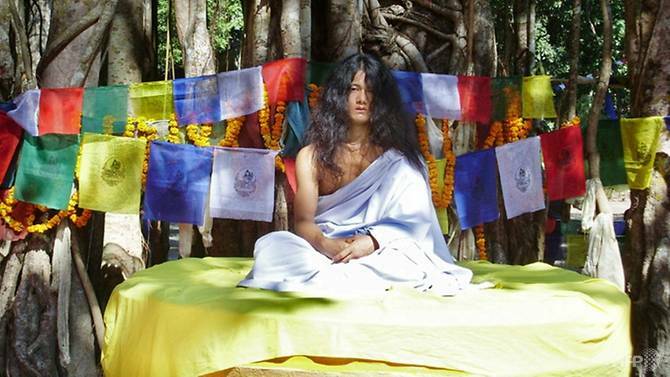 Ram Bahadur Bomjan, dubbed “Buddha Boy”, became famous in 2005 after followers said he could meditate motionless for months without water, food or sleep in Nepal’s jungles. Special police investigators have begun inquiries after the families of four of Bomjan’s devotees allegedly vanished from his ashrams. “The police have started investigating these complaints against Bomjan,” Uma Prasad Chaturbedi, a spokesman for Nepal’s Central Investigation Bureau, told AFP.